Alice Phoebe Lou is a force to be reckoned with. Growing up in Kommetjie, South Africa, Alice knew that as soon as she finished school she would pack up her things and see the world. Since her travels in Europe and busking around her new hometown of Berlin, Alice realized that music was the path she wanted to follow. She performed to much acclaim all over Berlin, in U-Bahn stations and clubs alike. 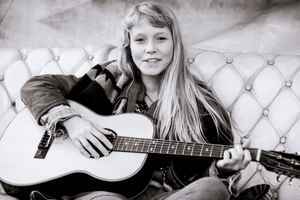 No matter where she went, Alice captivated audiences with her raw, powerful voice and honest songwriting. In 2015 she started international touring. Her song "She" from the film Bombshell: The Hedy Lamarr Story was on the shortlist for Academy Awards' 2018 Oscars in Best Original Song category.